Kalin Kadiev is Chaosium's Staff Artist. Kalin discovered Glorantha through the video game King of Dragon Pass, and from there quickly grew into a devout follower of the setting. 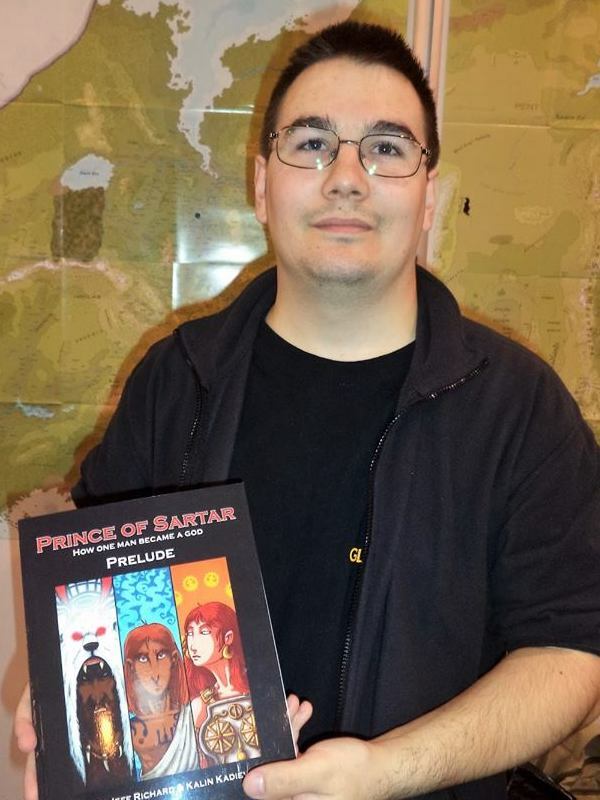 While running his own online game, Kalin’s Glorantha fan art drew the attention of the company. He was quickly brought on to work on the Prince of Sartar webcomic. His duties have since expanded to concept art for Glorantha, and illustration work across Chaosium lines including RuneQuest and Call of Cthulhu. Kalin currently resides in a quiet neighborhood of Sofia, Bulgaria. He enjoys gaming and painting miniatures in his free time, and regularly performs occult rituals to the gods.